I had the opportunity to listen to the podcast, How much of your lesson should be teacher talk?, with professor Neil Mercer, the emeritus professor of Education at the University of Cambridge and director of Oracy Cambridge. Quality teacher talk, explaining concepts to students, is important and for students to make the knowledge their own, student talk is critical. It’s a balance. Teachers need to hear student talk in order to assess student understanding. Teacher talk needs to take into account the level of the audience and should extend them a little further. Inspiration and enthusiasm in teacher talk need to parallel the content of the talk. Mercer reinforces the need to know the level of students and recognizes how difficult a task that is especially for secondary teachers working with large numbers of students for short periods of time. As Mercer described “talking” as a main tool of a teacher’s trade and labeled it a skill that can be developed, the value of coaching teacher talk became obvious. As the podcast moved to examine student talk, Mercer described oracy as “the full range of spoken language skills.” Building students’ oracy skills has a double payoff of positively impacting their learning and providing a critical 21st century skill. You don’t just want people to interact in groups, you want them to inter-think. Disputational – Everyone makes decisions on their own with lots of disagreement and minimal pooling of resources or constructive criticism. More competitive than cooperative. Cumulative Talk – Missing the disagreement of disputational, members share knowledge with each other in an uncritical way. Shared responses may be repeated and elaborated on but not evaluated. Exploratory Talk – Listening actively, members ask questions, share relevant information, provide reasons for their ideas and challenge each other’s ideas. Shared purpose and trust lead to agreement around joint decisions. As I considered the three kinds of talk, I thought about PLC conversations. Exploratory talk needs to be achieved if PLCs are going to maximize instructional effectiveness to impact student learning. ask ‘why’ questions for student reasoning and reflecting regarding what they were doing. They teach not just ‘subject content’, but also procedures for solving problems and making sense of experience. using their interactions with children as opportunities for encouraging students to make explicit their own thought processes. They treat learning as a social, communicative process. 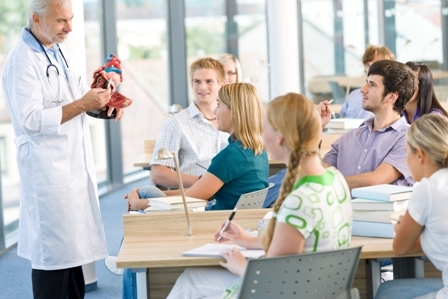 Teachers make regular use of a set of conventional dialogic techniques — question-and-answer sessions, recaps, reformulations and so on. Effective teachers use these to do such things as encouraging pupils to give reasons for their views, organizing interchanges of ideas and mutual support among pupils, and encouraging pupils to take a more active, vocal role in classroom events. Consider reviewing this blog with your teachers and having them identify an area for coaching feedback around teacher and/or student talk. This can be a great spot for using video in coaching. If teachers can direct where the camera is focused, they can assess the video with a coach or colleagues and set a goal for a desired change. After practicing with strategies aimed at producing the change, a follow up video can provide important feedback that guides next steps for continuous improvement.